I Know I Want A Car. Now What? Buying a car isn’t as simple as strolling into a dealership and driving home with a new set of wheels. It’s a decision that affects almost every facet of our lives, and should never be taken lightly. The following guide will walk through the “what now?” most of us experience when we know we need to purchase a vehicle. The simplest method for setting your car budget is to determine what your income and expenses are. Ensure you base your income on the money you take home after taxes. From here, you’ll have to determine what repayments you can afford, and most importantly, what you want to spend on a new car. Your budget will be dictated by your personal circumstances and expenses. Ensure you take a thorough look at all of the money coming in and out of your bank account every month before stepping into a dealership or making an enquiry on a vehicle online. Hot tip:when calculating your car loan repayments, be sure to factor in insurance costs if they aren’t included in your overall spend. Car purchases are not to be taken lightly, avoid putting yourself in a tough financial position due to poor preparation. A lender or financer may not look kindly your file if you have multiple recent credit inquiries or any inquiries from payday lenders. Sometimes, the old fashioned rules are often the best ones. The 20/4/10 Rule dictates that you should make a down-payment (capital investment) of at least 20% of a vehicle’s price, secure a loan that is no longer than 4 years in duration and spend no more than 10% of your gross income on insurance. Whilst this rule may not be applicable to every person and every situation, it can be a helpful guide when budgeting for your purchase. Now that we’ve discussed all the things to consider on the lead up to your car loan, it’s time we examined the car loan process itself. The car loan process can be incredibly daunting but it's nothing a step-by-step guide can't help you with. Lenders will need to know you can handle the payments when you are granted the loan, so be sure to have pay slips at the ready. Another step in the identity verification process, the lender will need to know you live at the address listed on your driver’s licence. What interest rate am I eligible for? Is it in my best interest to purchase or lease this car? 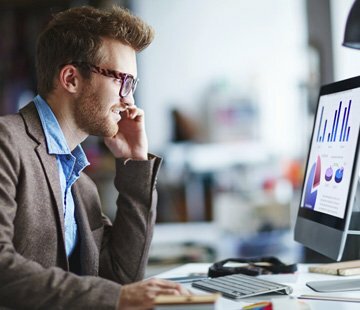 What fees are associated with my loan? How much (if any) capital investment is required for this loan? How long is the loan period and what are my monthly repayments? Know your credit ratingKnowing your credit rating will save you time as you’ll only apply for financing with lenders you know you are eligible for. Know your income and financial situation Knowing your income as against your current expenses, and what you have to evidence that income, will help you understand what loan products amy and may not be available to you. If there are any false records on your credit rating, ensure you have them corrected as soon as possible before applying for the car loan. How do I choose the car that is right for me? At this stage, we should be across what our budget is, and whether or not we think we’ll be purchasing a car or leasing one. With the hundreds upon hundreds of cars available on the market, how do you know what car is right for you? Here are some questions you should ask to help narrow down your search. How important is fuel economy to you? Is all-wheel drive a requirement? Do you need to use children’s car seats? Do you have a lot of garage or parking space? Should I use a car-buying service? Visiting a dealership and negotiating with a salesman is an experience most people dread. Once you’ve decided on your preferred car model, car-buying services use certified representatives to act on your behalf. AutoCarLoans offer a free car buying service which can help you get a great price on a new vehicle. You can call us on 1300 301 051 to arrange this. It can’t be stressed how important doing your homework is. You must know your budget, inclusive of all fees and rates and the exact type and model of car you want to purchase. If you leave in wiggle room, the salesman may steer you toward a vehicle that might not be right for you. Don’t fall into the “add-ons” trap. The salesman will always try and add things to your purchase, don’t feel pressured into buying things you don’t need. Using a car buying service can help you avoid these high pressure dealership sales tactics. Be confident. If you start to waver in your negotiation, the salesman will pick up on your change in tone and use it to their advantage. 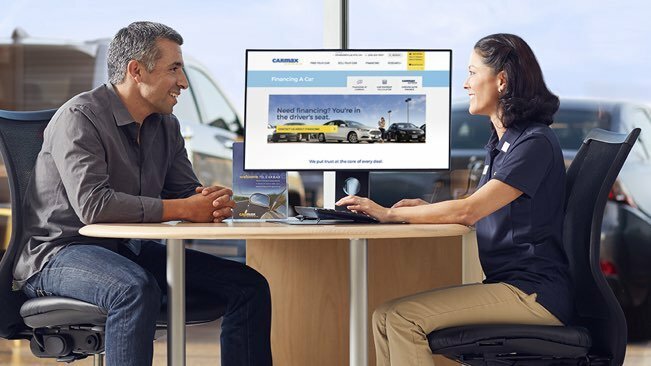 If you’ve done your homework and know what you’re looking for, you should be confident with the decisions that have led you to the dealership. Be Prepared to walk away. You will be offered a price ‘if you sign today’, but most definitely you will be able to get a lower price when calling the dealer back the following day. Slow the process down – buy in your own time, not the dealers. Adding a four-wheeled member to the family is always an exciting time in anyone’s life. As long as we’re fully prepared for it, it will certainly be a joyous one. If require some more personalised advice or some help from our free car buying service, the team at Auto Car Loans are here to help. Feel free to give us a call on 1300 301 051 or reach out at any time at info@autocarloans.com.au.